Wake Forest University holds its annual Founders’ Day Convocation in Wait Chapel on Thursday, February 18, 2016. James T. Jim Williams (62, JD 66, P 89, P 92, P 96) receives the Medallion of Merit from President Nathan O. Hatch. Yesterday was Founder’s Day Convocation. At the ceremony, there were numerous awards given for teaching and research – I hope you will take a look at the list of faculty who were honored, as it is a great list. 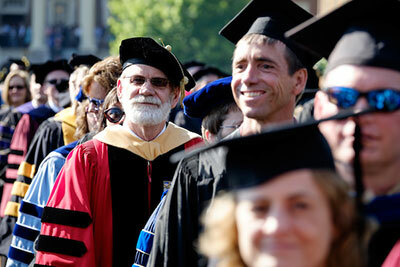 At Founder’s Day we also award the Medallion of Merit, the University’s highest honor. This year there were two recipients, one of whom was Life Trustee Jim Williams (’62, JD ’66, P ’89, P ’92, P ‘96), I had the pleasure of having lunch with Jim once, and I can tell you firsthand he is a remarkable, wonderful, interesting man, and loves Wake Forest dearly. Wake Forest University holds its annual Founders’ Day Convocation in Wait Chapel on Thursday, February 18, 2016. Jenny Robinson Puckett (71 P 00) receives the Medallion of Merit from President Nathan O. Hatch. Jenny has now retired from teaching – perhaps only our seniors might have had her in class? 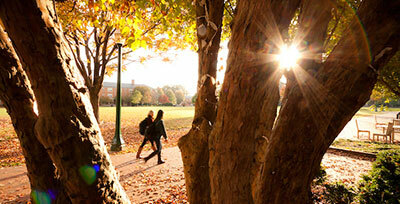 – but she has found a new calling in sharing the history and traditions of Wake Forest with others. Some of you would have seen her at our Wake Will campaign events. There were also senior orations read at Founder’s Day Convocation – hope to cover those next week if they are put online. 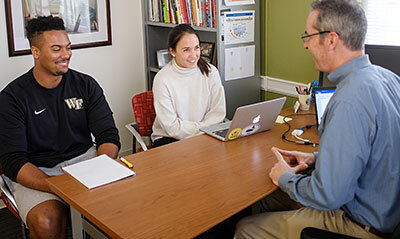 Now looking ahead to the coming week, the Learning Assistance Center reminded me that they are holding a workshop: “The Study Smarter, Not Harder workshop series will introduce WFU students to a number of helpful strategies that will improve academic performance. Our first workshop for the spring semester is scheduled for Monday, February 22, from 5:00-6:00 in Greene Hall 145. This workshop will focus specifically on improving time management and test taking skills.” This is a wonderful opportunity for your Deacs to hone their study skills. 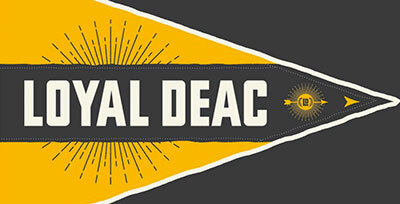 Have a great weekend, my Deac families!